The Park West Foundation has partnered with the Museum of Geometric and MADI Art to introduce the public to world-renowned artist Yaacov Agam. The museum will present “The Magic of Yaacov Agam,” featuring the kinetic artwork of Agam. The exhibition will run from Jan. 28 to April 21, with an opening reception held Jan. 28 at 5:30 p.m. The museum is located at 3109 Carlisle St. in Dallas. Agam, 87, pioneered the kinetic art movement, which encourages viewers to interact with the art through movement. The exhibition features a retrospective look at his art as well as at his new works. He will be present at the opening reception to discuss his oeuvre. 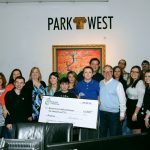 The Park West Foundation aims to promote art education and awareness through a series of museum exhibits in 2016 throughout the United States. 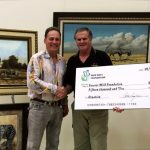 Along with the Agam exhibition, these include Autumn de Forest at the Butler Art Institute in Youngstown, Ohio; Anatole Krasnyansky at the Museum of Tolerance in Los Angeles; and Peter Max at the Tampa Museum of Art in Tampa. Agam has the honor of having an art installation at the Centre Pompidou in Paris that was commissioned by French President Georges Pompidou. Agam has previous exhibited at the Tel Aviv Museum of Art, the Musee National d’Art Moderne in Paris and the Stedelijk Museum in Amsterdam, and was featured at the Guggenheim and the Museum of Modern Art, both in New York.